PART of the evidence in the trial of a man accused of murdering Hampstead recluse Allan Chappelow will be heard in secret, a judge ruled this week. The reasons given were “national security or the protection of witnesses”. The decision comes after an attempt by lawyers representing seven media organisations and a QC acting on behalf of the accused to overturn an unprecedented application by the Home Office to have part of the prosecution case heard behind closed doors. In a move believed to be a first in legal history, Home Secretary Jacqui Smith requested that sections of the trial of defendant Wang Yam, from Denning Road, Hampstead, be heard in secret. The Old Bailey heard from Geoffrey Robertson QC, acting for Mr Yam, that, because of extensive coverage in the Camden New Journal and the national press, he wanted all evidence to be heard in public to help clear the accused’s name. During a two-day hearing, which ended on Tuesday, judge Mr Justice Ousley was asked to weigh up the prosecution’s claim that the case may be dropped if part of the trial could not be heard in private against the argument that, to ensure the trial was fair, all evidence should be heard in public. Gavin Millar QC, representing six national newspapers and the BBC, said it was hard to outline a strong case against the restrictions without knowing exactly why they were being asked for by the prosecution. Instead, the lawyer argued that having no reporting restrictions was crucial to Mr Yam receiving a fair trial. He added that a trial held partly in secret would jeopardise the common law principle of open justice and go against the concepts of press freedom enshrined in European law. 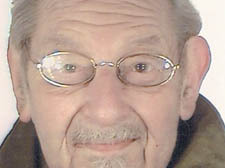 Mr Robertson said: “The victim was a distinguished scholar living in a famous location. There has been a great deal in national papers, and especially the local press, regarding the death, the fact the victim’s body lay beneath proofs of his George Bernard Shaw biography for a month before discovery. Mr Robertson said further publicity may bring forward new witnesses to help his case. At the end of the hearing, Mr Justice Ousley ruled that sections of the trial could be heard behind closed doors. He added that, although there may be evidence not available to an open court, it would still be heard by the defendant, his lawyers and the jury. Mr Justice Ousley added that any speculation in newspapers as to why the prosecution’s evidence was so sensitive it had to be heard in secret would amount to a contempt of court. The murder trial is due to start in two weeks, but Mr Robertson told the court he considered it “highly likely” he would appeal against the ruling on behalf of his client. The jury is expected to be empanelled next week.